The IMPULSE is a powerful EnOcean sensor that manages pulse outputs (water, gas, calorimeter …) and communicates with EDF meters. Thanks to its 2 inputs, the Squid can, for example, simultaneously manage consumption data of a water meter and an EDF meter. The IMPULSE’S remote data input can be connected to the various EDF meters available: Blue, Yellow, SME-SMI, single-phase or three-phase. 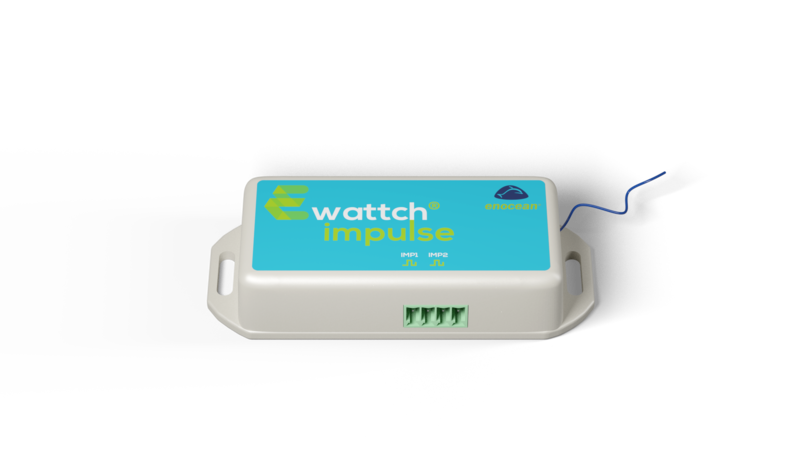 The IMPULSE sends consumption data using the EnOcean wireless protocol, with a standard profile. The product is powered by a removable battery that operates for more than 10 years, thanks to its optimized energy consumption manager. The IMPULSE is also capable of recovering energy from the remote data connection. IMPULSE-QM : EnOcean sensor with 1 pulse input and 1 remote data input (ICT). IMPULSE-FULL-QM: EnOcean sensor with 2 pulse inputs, 1 remote data input (ICT) and 1 external power input.